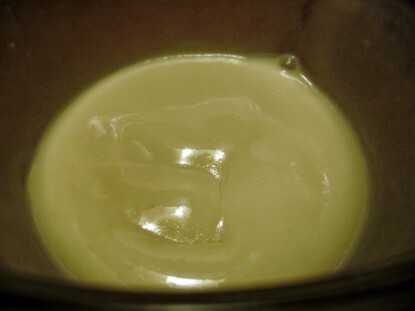 I have a new favorite homemade ingredient–homemade sweetened condensed milk! It all started when kellyb posted her Hello Dollies recipe. These have been my absolute favorite Christmas cookie–I just didn’t know what they were called, so I’d never made them. They will now be my absolute favorite anytime cookie–no need to wait for the Christmas cookie trays! I got all excited and started mixing everything up. Until! I read “drizzle condensed milk over top”. How did I miss that in the ingredients list? Hunh. Next step, search the internet for a substitute; I’ve read recipes of making it yourself. And yes, tsmith had a version of it right here on Farm Bell. It’s a microwave recipe. Two minutes later, I had sweetened condensed milk and could continue on with my drizzling! Equivalent to 1 (14 ounce) can. Stir milk into cold water. Microwave on high 45 seconds to one minute until steaming. 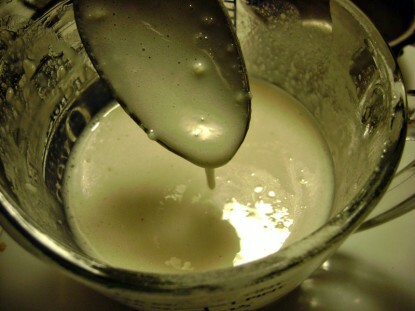 Stir in sugar and vanilla. It’s quite thin at this point. Refrigerate until cool before using. I stuck it in the freezer to quicken the cooling process–this makes it thicker. This threw me though. It’s 10 fluid ounces and a can says 14 ounces. I got a little frantic and called Mom. Yes, Mom will make everything better! I had her open a can and measure it in a measuring cup–just a tad over 10 fluid ounces. So it’s good. Whew! 14 ounces is the weight, not the fluid measure. It worked wonderful for Hello Dollies–what about something else? I had to try other things! 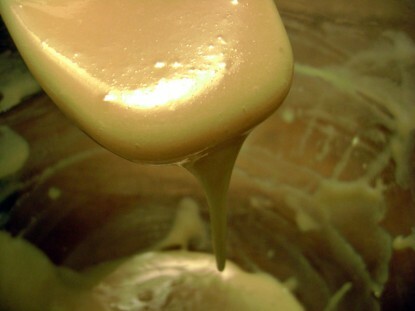 Have you ever tried making caramel with condensed milk? I haven’t, but I’ve read about it, I’ve even saved a recipe for it. From Eaglebrand.com, there’s a method for the oven, stove-top, and microwave. I chose the microwave method–it’s just faster and I had to see if this worked with the homemade version! It does say NOT to use an unopened can as I’d read of on many other sites–something about explosions and such. 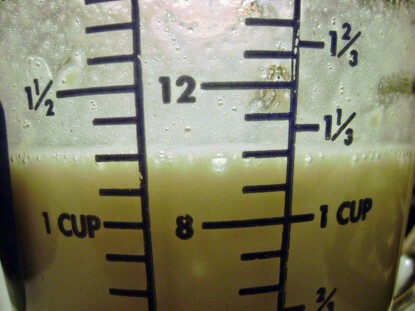 Pour milk into 2-quart glass measuring cup. Cook on 50% power (medium) 4 minutes, stirring briskly every 2 minutes until smooth. Cook on 30% power (medium-low) 12 to 18 minutes or until very thick and caramel-colored, stirring briskly every 2 minutes. This was after 10 minutes on the 30% power–it’s starting to thicken up. The importance of putting 11 ounces of milk into a big 2 quart bowl? Use a see-through bowl and pay attention to it! I’m not sure exactly what happened here. I was waiting for the last 2 minutes to run out on the 12 minutes at 30% power, I heard the microwave ding, but it kept going, showing 1:30 left. Still not sure. So it can cook up and over. When you’re using a % of power, it sounds like it’s running full power for a few seconds then shutting down some. When it’s running higher, the milk would go further up the bowl, then when microwave sounded like it was shutting down in power, the milk would go down. At 12 minutes, it wasn’t quite caramel-y enough, so I put it on for another 2 minutes, then another 2 minutes. This seems nice and thick and has a nice caramel color. It tastes like Kraft Caramels! It hardens as it cools. Cooked this long, this is in no way a caramel sauce. It’s more like a softened Kraft Caramel. 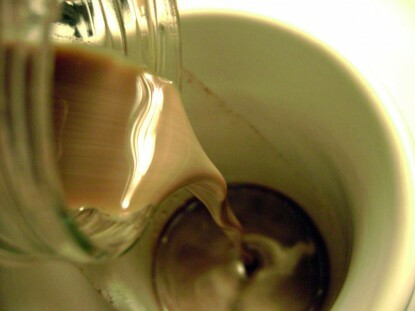 And my last experiment so far–Liquid Coffee Creamer. 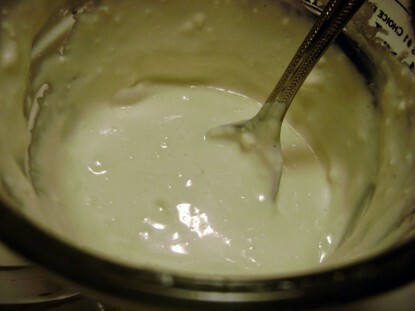 There are a couple recipes here on Farm Bell–Michelle’s French Vanilla Coffee Creamer recipe and tsmith’s Liquid Coffee Creamer using sweetened condensed milk. There are some variations in the recipes, so I mixed and matched. 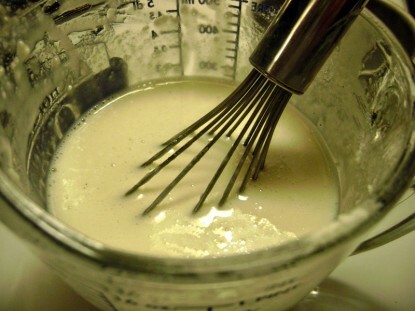 I used 1/2 cup sweetened condensed milk, 1/2 cup 2% milk, 1 Tablespoon Dutch Cocoa, and 1 teaspoon vanilla. It’s nice and creamy and I can’t wait to have it in my coffee! 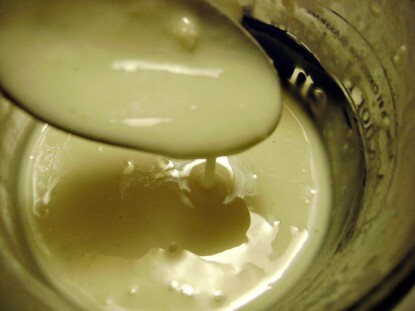 So–3 out of 3 experiments were successful with the Homemade Sweetened Condensed Milk! I am so excited! While those cans do make the cutest candle holders, I will absolutely love not to buy another can. Price comparison: I don’t even know how much a can out of the store costs, but with the prices I paid for the powdered milk and the sugar, mine equaled to 85 cents per recipe and 2 minutes of my time. Cindy blogs at Chippewa Creek ~ Our Life Simplified. 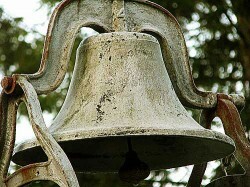 Read information here for Farm Bell blog submissions. Cindy, this is very interesting. I have had a can sitting in the pantry for ages. I have never cooked with it. I think I got it to try making stove-top rice pudding like my Honduran SIL’s mother makes…never done it. I had no idea you could make it yourself. Thank you so much for posting this. I love making Hello Dollies, I hate buying those very expensive cans of sweetened condensed milk. Now I’ll be able to make them all the time. This is the perfect example of why sharing on CiTR is such a good idea. Someone posts a recipe, question or comment and it allows others to share the info they have. I would never have thought to make my own milk, but now I will. Another great post CindyP. Glad this recipe came through for you in a pinch! There is nothing worse than starting a favorite recipe only to discover you don’t have what you need to finish! I don’t use sweetened condensed milk very often, so it is nice to have a this handy little substitute. And it was after 7 p.m. when I started these! It would have been the gas station grocery aisle I would have been shopping….NOT a good place for price to buy sweetened condensed milk, I’m sure! The frantic-ness of the amount came when I was doing the caramel part, NOT the Hello Dollies…I didn’t really notice 10 ounce/14 ounce until I was going through the pics last night to make the post. My husband’s favorite Christmas cookie is a 12oz bag of coconut, a 14(liquid;})oz can of condensed milk, a teaspoon of vanilla. I think, off the top of my head, that that is all. 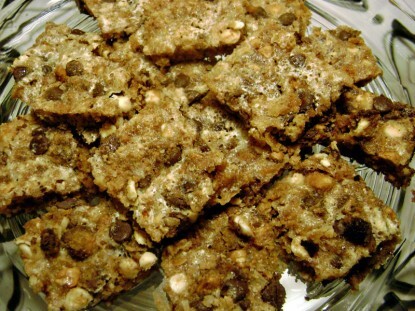 You drop them by teaspoonfuls onto cookie sheets. I recommend lining the sheets with parchment paper. Bake at 350degrees until brown. 8 minutes comes to mind. They are a really easy cookie but I never remember to buy the condensed milk. I have powdered milk, so I may be experimenting myself. 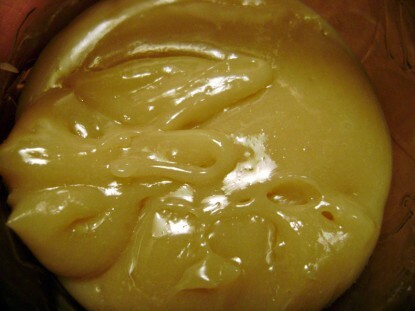 I could make it in a big bowl microwave to liquid caramel point, add the coconut and vanilla. Nuke a bit more, that would make them nice and sticky. Then bake a bit. 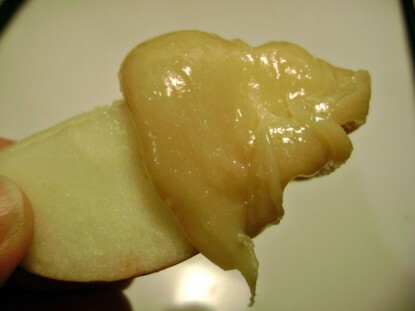 Here is a link to a video on making caramel apples, in it she shows how to make sweetened condensed milk using non instant powdered milk. This is awesome!!! I’m excited. I’m always wanting to make something and then find out I don’t have the sweetened condensed milk! 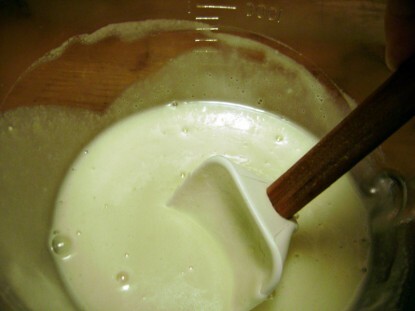 Check the main page for the latest recipes–tsmith just posted an evaporated milk substitute, too! @CeeGee…I looked at that video. I can’t find non-instant powdered milk here, only instant non-fat. 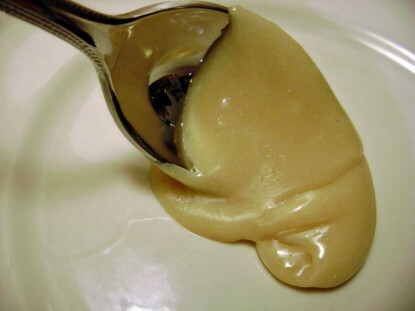 This caramel I made is just caramelizing the milk, not adding anymore ingredients to it. Very easy! Has anyone used non-instant milk? Where have you found it? I buy the non-instant at the LDS cannery. I am not LDS, but I am still able to purchase there. I also buy wheat from there. Ok, now I must seriously try to make the coffee creamer with the carmel instead of the plain sweetened condensed milk. I LOVE the vanilla carmel coffee creamer and was trying to figure out how to make that when the french vanilla runs out! Thanks Cindy! 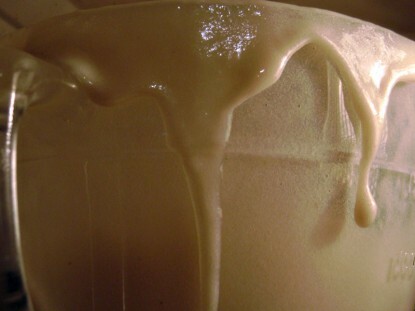 If you take instant powdered milk and whirl it in the blender, it cuts the size of the milk grains down and then measures just like “instant”. It’s just an extra step to have to do. I couldn’t find enough cans of evaporated milk to make my pumpkin pies for Christmas, so I made some myself. The pies were even better than usual – and I always use fresh pumpkin in my pies, so they’re good to start with – at least that’s what family and friends tell me. So try it, you’ll like it!